Lexi, Al, Mursili, Will and Caractacus are back! 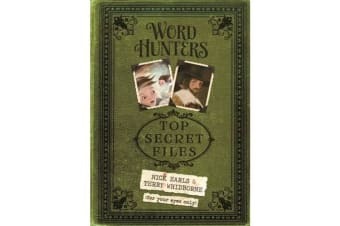 This exciting book from the successful team behind the Word Hunters trilogy is packed with never-seen-before word hunter history – with new characters, new word quests, new adventures and all the behind-the-scenes information you have ever wanted to know about the words that make up the language we speak. Bonus- Book includes ‘top secret’ content accessed via the Layar app!